Yes, I did! 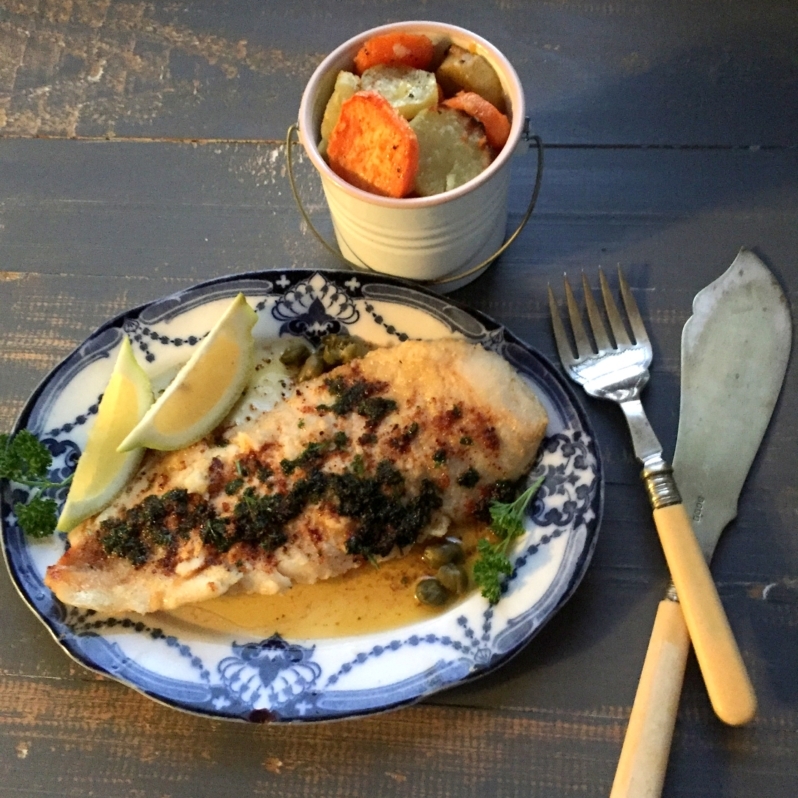 I made a banting sole meunière! With so many people jumping on the banting bandwagon, I have decided to give it a try. The most important step (for me) was to buy banting-friendly ingredients. So, after consulting “The Real Meal Revolution” (The book was given to me a year, or maybe two, ago as a Mothers’ day gift. Were my children trying to tell me something, I wonder?) and some websites I bought a couple of Banting staples. Very expensive staples; amongst them almond meal and coconut oil! I always tend to cook simpler in Spring. Classic old-fashioned food really appeals to me and cooking sole à la meunière has always been a favourite of mine. For those of you that don’t know the term, it is just the French word for a simple way to prepare sole, or any other fish. Fish is dusted in flour and then cooked in a mixture of oil and butter. This is served with a sauce made of the pan juices, more butter, parsley and lemon! Plain and simple, but so delicious. I decided to replace the cake flour with almond meal (almond flour) and I served the fish with sweet potatoes that was dabbed with coconut oil and baked in the oven. 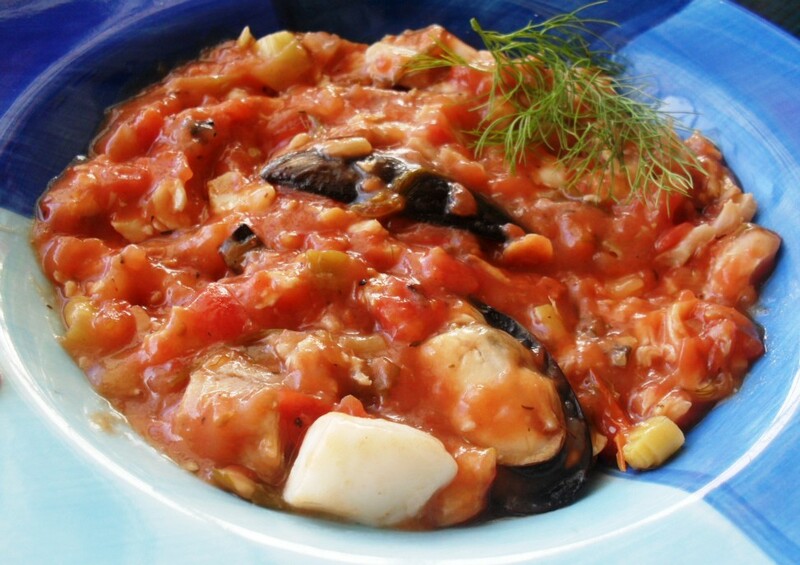 My youngest daughter, who loves shellfish and calamari, but is not so fond about fish, said that it was one of the best dishes that she has ever eaten! I must admit I also found it very tasty. 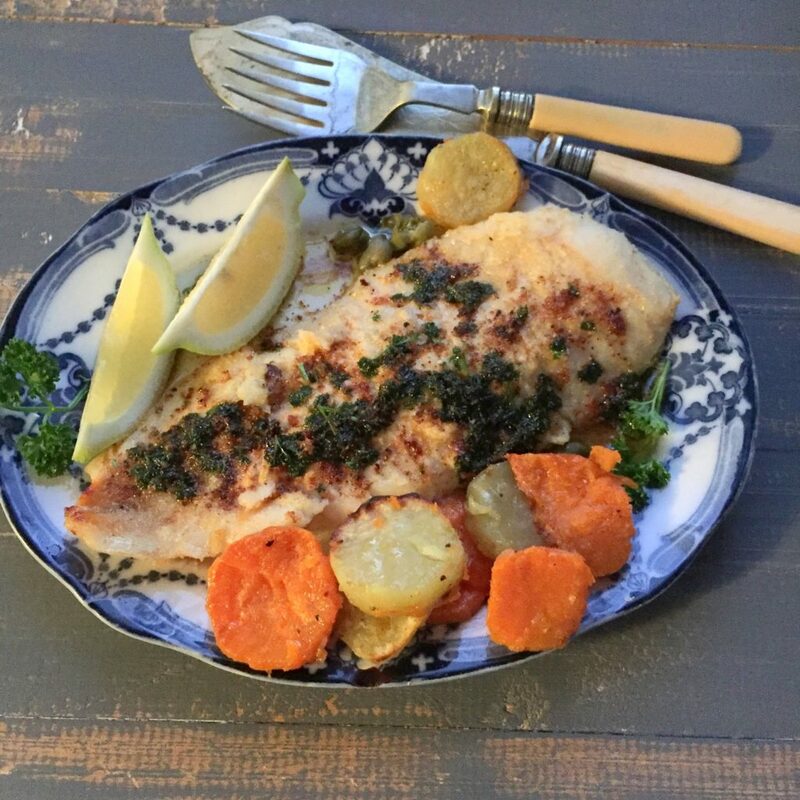 Try this banting sole meunière if you are following a low-carb diet. Alternatively just use cake flour and not almond meal. Place the sliced sweet potatoes into an oven dish. Season with salt and pepper and dab with the coconut oil. Bake in the pre-heated oven for approximately 45 minutes or until the sweet potatoes are cooked. 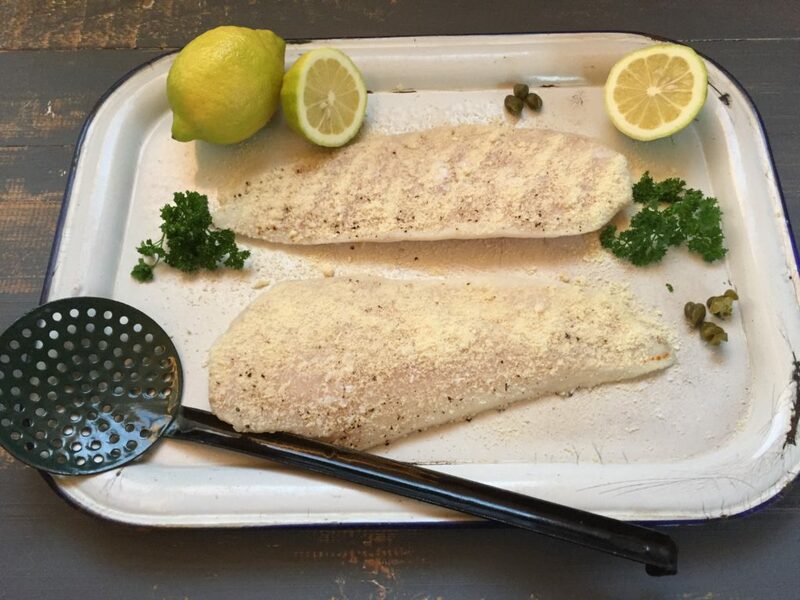 Season the fish on both sides with salt and pepper and dust on both sides with the almond meal. Heat the oil and butter on medium to high heat until it is hot and foamy. Add the soles and cook for approximately 2 to 3 minutes on each side or until the fish is lightly browned. Add the chopped parsley and the lemon juice and cook for one minute. Garnish with the capers and lemon wedges and serves with the sweet potato bake.